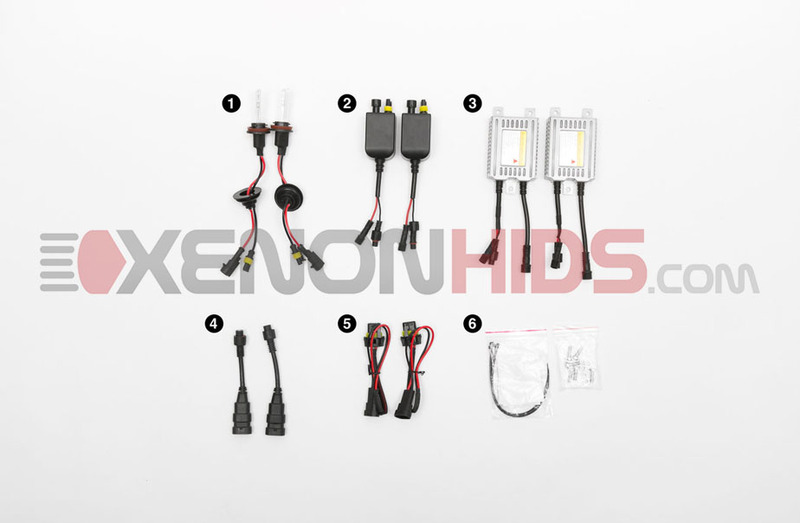 Below are the components included in your Single Beam HID Conversion Kit. 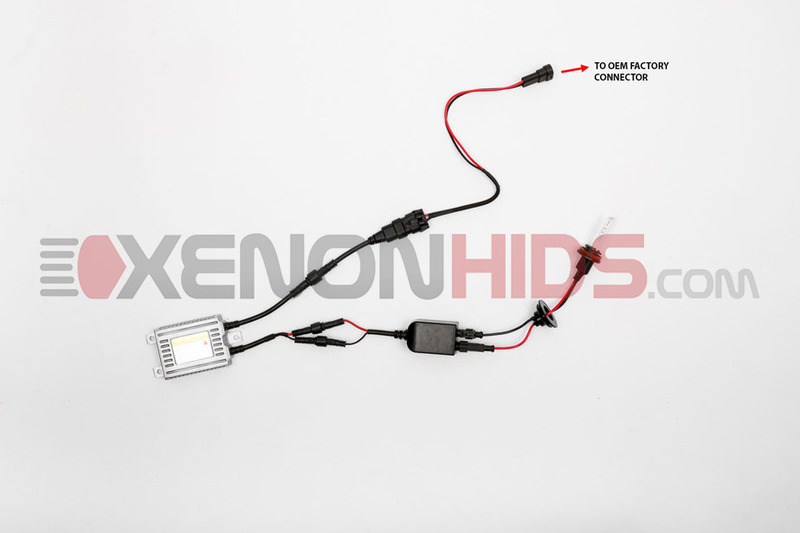 Below are the simple steps to connect your plug and play HID Conversion Kit. The diagram outlines the connection for one headlight. Repeat the same steps for the second headlight. Connect the HID Bulb to the Ignitor. Connect the Ignitor to the Ballast (does not apply to our Moon Series 35W Canbus kits). Connect the round connector from the Ballast to the Ballast Adapter. Connect the female oval connector from Ballast Adapter to the Factory Harness Adapter. 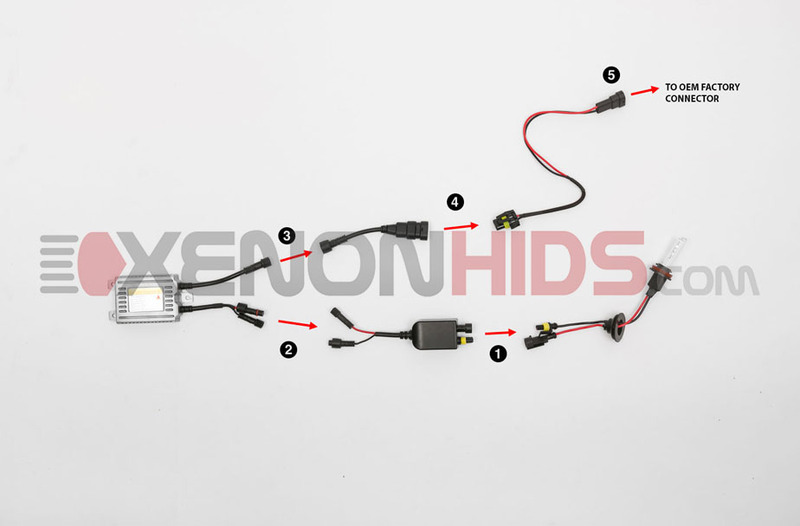 Plug the Factory Harness Adapter to your vehicle's OEM factory connector. NOTE: The Factory Harness Adapter must be installed in this configuration for the HID conversion kit to function correctly. This is what the finished product will look like once all connections are done. Repeat the same steps for the second headlight.